The memorandum was sent by Otai Reformis 1998 and Jamil Kucing Cat Rescue (JKCR) to the Selangor State Assembly speaker Ng Suee Lim, in his capacity as chairman of the Special Select Committee on Selangor's Capability, Accountability and Transparency (SELCAT). The group representative Jamil Ismail said a hearing should be held to get an explanation, following talk that the cat shelter would be turned into the service office of Bukit Antarabangsa state assemblyman. "The cat shelter was already completed, but while waiting for its handover, we were informed that it will serve as a public service centre instead. We were surprised and immediately requested for an explanation from the Ampang Jaya Municipal Council (MPAJ). "However, MPAJ later informed us that the cat shelter was objected to by residents. But I cannot accept this because there are already other animal shelters there. "Before it was built, we did not get any objection from the residents during the objection period," he said, when met by reporters after handing over the memorandum in front of the Selangor state secretariat building here today. Following that, a memorandum was sent to SELCAT to urge them to investigate and conduct a public hearing on the case. Meanwhile, Otai Reformis 1998's secretary Abdul Razak Ismail said the cat shelter premises was previously used as a public community hall. "However, the hall was later abandoned and used by drug addicts to get their fix. JKCR then took the initiative to build a shelter to place abandoned cats after obtaining permission from MPAJ. "We find it strange that a hall that comes under the local council was taken over and turned into a service office. To my knowledge, every state assemblyman is given an allowance to rent an office. "In the past, we objected when Umno took over public premises for political use, but the same thing is happening in the new government," he said. Earlier, the media reported the activists sent a memorandum to State Local Government, Public Transportation and New Village Development Committee chairman Ng Sze Han to urge the state government to intervene in the case. 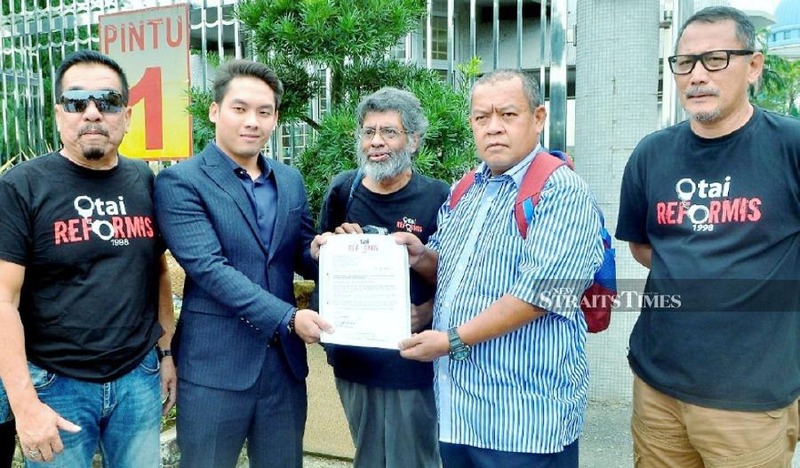 In the report, the activists claimed that a 0.8 hectare piece of land at Jalan Ayer Lama, Ampang Jaya, which was supposed to be used as a cat recreational park would be turned into a service office of Bukit Antarabangsa state assemblyman without prior notice.